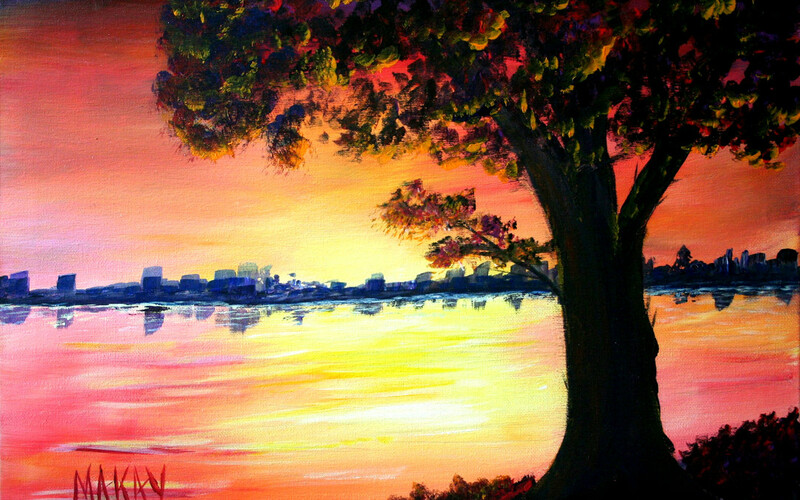 This introductory course covers basic painting techniques with an emphasis on contemporary applications of the acrylic paint medium with a focus towards younger minds. The objective of this course is to provide young art students with the skills necessary to create their own original paintings by using knowledge of pictorial composition and knowledge of materials, tools and techniques used in acrylic painting. This 6 class course provides the basics through an engaging introduction to acrylic painting. Topics include the use of composition, a landscape color palette, texture, form and value through landscape painting as well as understanding various paint brushes, their uses and proper care. By the end of the course, students will have a basic understanding of these concepts and some of the basic tools used to accomplish their painting goals. Monday Afternoons from 3:45 pm – 5:00 pm starting January 4th. Tuition includes all supplies needed for all 6 classes. The maximum number of students admitted for the course will be 15.